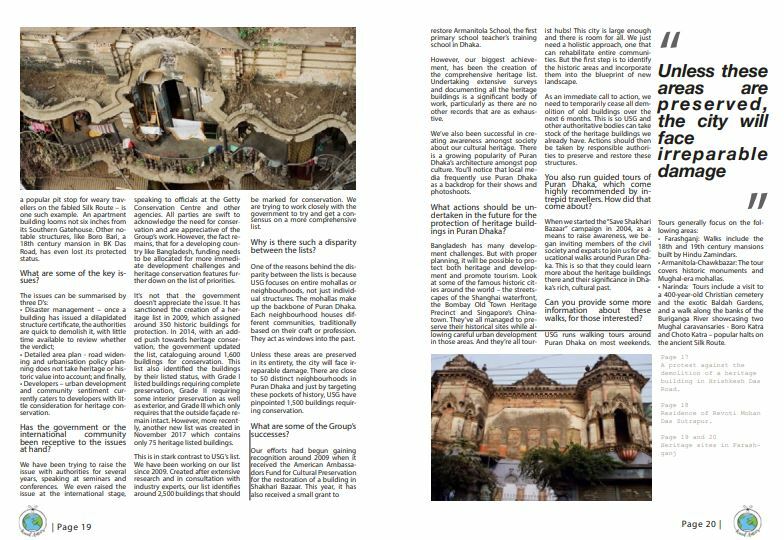 Writer Samai spoke to the Urban Society Group in Bangladesh, who are working hard to save some of Dhaka’s most spectacular heritage buildings. DHAKA, BANGLADESH. Situated in the lower reaches of the fertile Ganges delta, Dhaka has been home to human settlement since the 7th century. It was, however, during the Mughal rule in the 1600s that the city flourished. Traces of the era are still alive in Puran (Old) Dhaka, in its architecture, culture and cuisine. However, it is fast disappearing amidst a frenzy of urbanization. 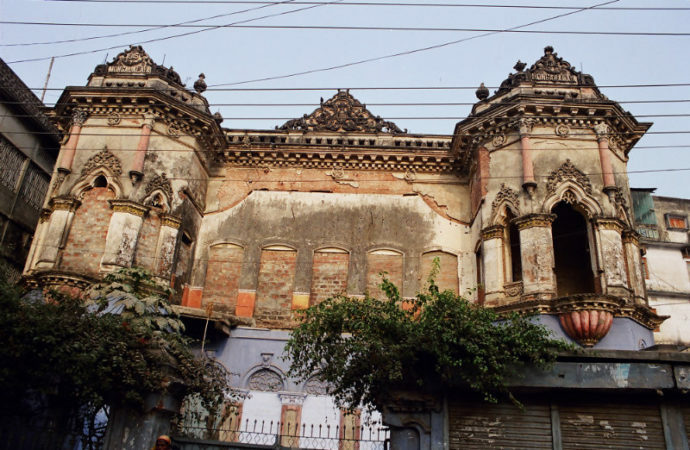 The Urban Study Group (USG) comprises concerned architects and local volunteers on a crusade to protect the heritage and cultural fabric of Puran Dhaka, calling to preserve over 2,500 historic buildings. While on a recent trip to the city, I met with Taimur Islam, architect and founder of The Urban Study Group. Our chat began in his modest offices, amidst towering tomes and rolls of fading blueprints. As we delved deeper into the issue, he invited me to join him on one of USG’s famous walks around Puran Dhaka, so I could learn, first-hand, about the issues at large. Below are excerpts from our conversations. Please note that some of Islam’s words have been translated and modified for clarity and context. A city’s history is etched in its architecture – how far back can we trace Dhaka’s history? Dhaka has borne witness to a rich legacy of ruling powers, from Buddhist and Hindu dynasties to Afghan governors from the Delhi Sultanate, to the Moghuls and the British before the Partition, when India was divided into (East and West) Pakistan and India. Bangladesh eventually went on to gain independence from Pakistan in 1971. In Puran Dhaka, the oldest part of the capital, it is possible to trace the city’s history over the past 400 years to include the British Raj, Mughals and Afghan traders. The city flourished under Mughal rule, and under the British, it grew further. It is a city with a Mughal skeleton, but Colonial flesh – the signs of which are still intact the many old buildings scattered amongst the concrete jungle that now exists in its stead. What is The Urban Study Group? The Urban Study Group is a voluntary organisation that has been campaigning for the preservation of heritage buildings in Puran Dhaka since 2004. We are mostly a group of architects, with a mix of members of the civil society and local youths. Our campaigns are primarily self-financed. What prompted you to found The Urban Study Group? In 2004, a terrible multi-storey building collapse in Shakhari Bazaar (in Puran Dhaka), killed 19 people. It instigated heated debates about the future of the oldest part of nation’s capital. Citing congestion, unplanned and unsafe structures, critics called for the mass demolition of all dilapidated buildings, including buildings of significant cultural and historic value. The government formed a technical committee, which, after hurried sidewalk surveys, earmarked around 800 structures to be torn down. Conservationists rallied, advocating for the protection and restoration of all structures of historic and cultural relevance. As a student of architecture, I had deep ties to Shakhari Bazaar. I spent a lot of my time in studying the unique attributes of the area. Shakhari Bazaar is the oldest surviving mohalla (traditional neighbourhood) in Dhaka, dating back to the pre-Mughal era. I have an appreciation for the history and cultural heritage that ancient architecture affords. For centuries, this neighbourhood has been home to traditional artisans, the Shakharis, renowned for making conch-shell bangles and other religious artefacts. If you look beyond the narrow and congested roads and the general disrepair, you will see several buildings whose foundations date back to the Mughal and Colonial eras, with intricate facades that speak volumes about a city’s history and culture. 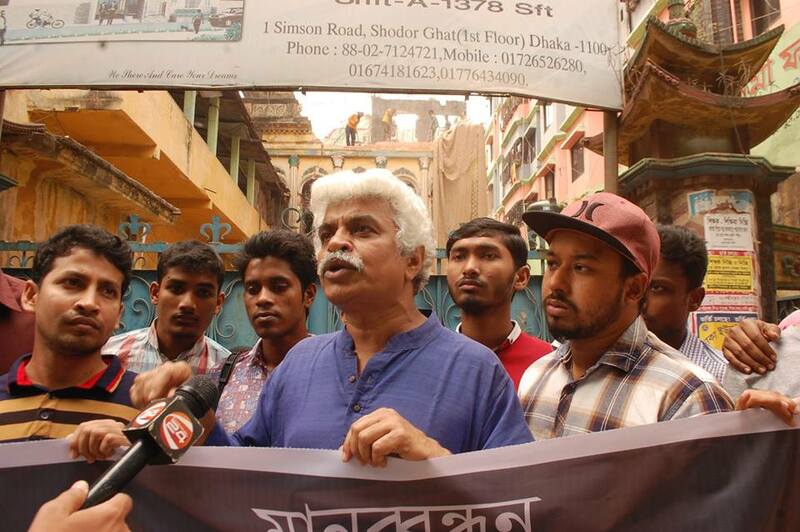 Alarmed at the prospect of losing an integral part of Dhaka’s history, I, along with my ex-wife, also an architect, and other concerned members of the community, formed the “Save Shakhari Bazaar” campaign. We focused on creating awareness amongst media and donor agencies to stop the demolition of historic buildings. Our small group soon expanded to include members of the local community and thus began Urban Study Group. What other dangers do these heritage buildings face? These buildings are in danger of being demolished due to rapid urbanization. Urban planning in Dhaka has been spontaneous and building regulation codes are often flouted. There is little coordination between different government jurisdictions and various loopholes. In trying to contain the city’s urban sprawl, policymakers have had to compromise on heritage protection. There is also a risk of losing these buildings owing to society’s perception of wealth. In the race towards development, urban dwellers value modern developments, not the old. In their eyes, these old buildings are old-fashioned, uncomfortable and are not deemed as symbols of prosperity. What were some of the major challenges you faced on your journey? There have been many obstacles. Take for example, when we received a small grant from UNESCO for the restoration of notable buildings in Puran Dhaka. However, intensive repairs were required, and the delicate task of rebuilding required teams of craftsmen whose arts were all but lost. We had to change tact and decided focus more intensively on raising awareness. So we hosted an exhibition titled “Save Shakhari Bazaar” using photographs to map the area and superimposing notable buildings upon the more recent developments, allowing viewers to get a sense of the scale of the issue at hand. Furthermore, many notable buildings in Puran Dhaka which currently have protected status, are merely on paper. In reality, many of the structures have been encroached upon by surrounding concrete buildings, with little consideration for their visage or conservation. Boro Katra, – a Mughal caravanserai built in 1646 and a popular pit stop for weary travellers on the fabled Silk Route – is one such example. An apartment building looms not six inches from its Southern Gatehouse. Other notable structures, like Boro Bari, a 18th century mansion in BK Das Road, has even lost its protected status. Developers – urban development and community sentiment currently caters to developers with little consideration for heritage conservation. Has the government or the international community been receptive to the issues at hand? We have been trying to raise the issue with authorities for several years, speaking at seminars and conferences. We even raised the issue at the international stage, speaking to officials at the Getty Conservation Centre and other agencies. All parties are swift to acknowledge the need for conservation and are appreciative of the Group’s work. However, the fact remains, that for a developing country like Bangladesh, funding needs to be allocated for more immediate development challenges and heritage conservation features further down on the list of priorities. It’s not that the government doesn’t appreciate the issue. It has sanctioned the creation of a heritage list in 2009, which assigned around 350 historic buildings for protection. In 2014, with an added push towards heritage conservation, the government updated the list, cataloguing around 1,600 buildings for conservation. This list also identified the buildings by their listed status, with Grade I listed buildings requiring complete preservation, Grade II requiring some interior preservation as well as exterior, and Grade III which only requires that the outside façade remain intact. However, more recently, another new list was created in November 2017 which contains only 75 heritage listed buildings. This is in stark contrast to USG’s list. We have been working on our list since 2009. Created after extensive research and in consultation with industry experts, our list identifies around 2,500 buildings that should be marked for conservation. We are trying to work closely with the government to try and get a consensus on a more comprehensive list. Why is there such a disparity between the lists? One of the reasons behind the disparity between the lists is because USG focuses on entire mohallas or neighbourhoods, not just individual structures. The mohallas make up the backbone of Puran Dhaka. Each neighbourhood houses different communities, traditionally based on their craft or profession. They act as windows into the past. Unless these areas are preserved in its entirety, the city will face irreparable damage. There are close to 50 distinct neighbourhoods in Puran Dhaka and just by targeting these pockets of history, USG have pinpointed 1,500 buildings requiring conservation. What are some of the Group’s successes? Our efforts had begun gaining recognition around 2009 when it received the American Ambassadors Fund for Cultural Preservation for the restoration of a building in Shakhari Bazaar. This year, it has also received a small grant to restore Armanitola School, the first primary school teacher’s training school in Dhaka. However, our biggest achievement, has been the creation of the comprehensive heritage list. Undertaking extensive surveys and documenting all the heritage buildings is a significant body of work, particularly as there are no other records that are as exhaustive. We’ve also been successful in creating awareness amongst society about our cultural heritage. 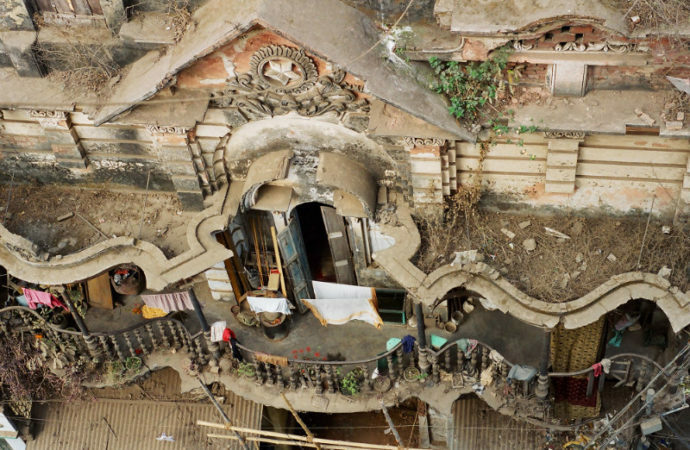 There is a growing popularity of Puran Dhaka’s architecture amongst pop culture. You’ll notice that local media frequently use Puran Dhaka as a backdrop for their shows and photoshoots. 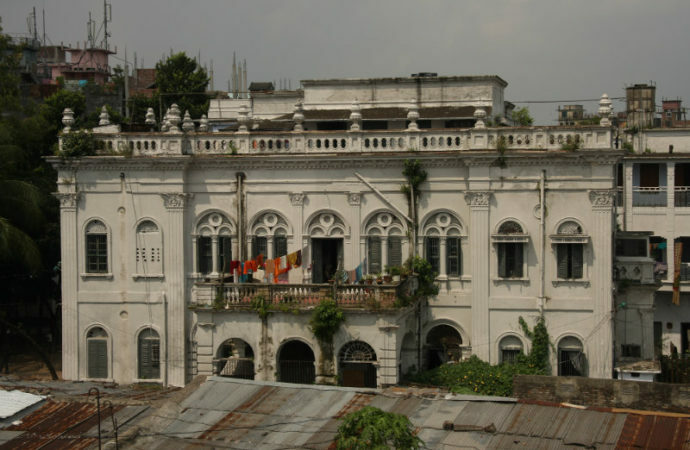 What actions should be undertaken in the future for the protection of heritage buildings in Puran Dhaka? Bangladesh has many development challenges. But with proper planning, it will be possible to protect both heritage and development and promote tourism. Look at some of the famous historic cities around the world – the streetscapes of the Shanghai waterfront, the Bombay Old Town Heritage Precinct and Singapore’s Chinatown. They’ve all managed to preserve their historical sites while allowing careful urban development in those areas. And they’re all tourist hubs! This city is large enough and there is room for all. We just need a holistic approach, one that can rehabilitate entire communities. But the first step is to identify the historic areas and incorporate them into the blueprint of new landscape. As an immediate call to action, we need to temporarily cease all demolition of old buildings over the next 6 months. This is so USG and other authoritative bodies can take stock of the heritage buildings we already have. Actions should then be taken by responsible authorities to preserve and restore these structures. You also run guided tours of Puran Dhaka, which come highly recommended by intrepid travellers. How did that come about? When we started the “Save Shakhari Bazaar” campaign in 2004, as a means to raise awareness, we began inviting members of the civil society and expats to join us for educational walks around Puran Dhaka. This is so that they could learn more about the heritage buildings there and their significance in Dhaka’s rich, cultural past. Can you provide some more information about these walks, for those interested? Farashganj: Walks include the 18th and 19th century mansions built by Hindu Zamindars. Armanitola-Chawkbazar: The tour covers historic monuments and Mughal-era mohallas. Narinda: Tours include a visit to a 400-year-old Christian cemetery and the exotic Baldah Gardens, and a walk along the banks of the Buriganga River showcasing two Mughal caravansaries – Boro Katra and Choto Katra – popular halts on the ancient Silk Route.